Murdoch’s Perfection was a widely exported blended Scotch whisky produced by Duncan Murdoch & Co., a subsidiary of Glasgow blender and bottler Campbell & Clark, during the late 20th century. 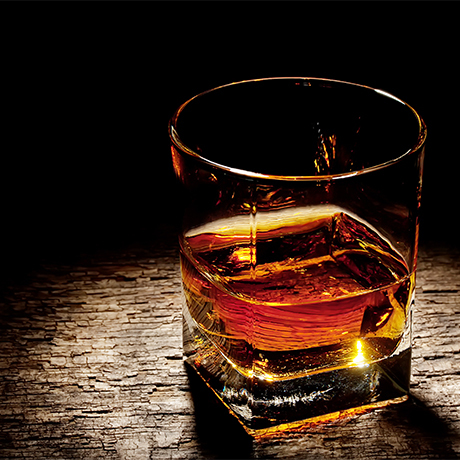 During its brief life it was bottled as a 12-, 15-,17 and 20-year-old at 40% and 43% abv. Douglas Murdoch & Co. was established in 1970 as a subsidiary of Glasgow blender Campbell & Clark Ltd, its name used to market a series of independent bottlings alongside the Duncan’s Reserve and Murdoch’s Perfection brands. Campbell & Clark itself had been formed in 1934 as a subsidiary of distiller Train & McIntyre Ltd., which later owned the Glenury Royal, Fettercairn and Benromach distilleries. Campbell & Clark was sold to George Christie’s Speyside Distillery Company in 1960, which was part-backed by Sazerac Co. Inc of New Orleans. During the 1980s Murdoch’s Perfection had become widely distributed overseas, but although being bought out by Christie in 1989, Campbell & Clark became a dormant company by the mid-1990s. In 2000 the Speyside Distillery Company was sold to a private investment group, and Campbell & Clark and its subsidiaries were dissolved 10 years later.